Carl Fleming Edwards Jr. is an American professional baseball pitcher for the Chicago Cubs of Major League Baseball (MLB). He was formerly known as "C.J." in the minor leagues, where he also earned the nickname "The String Bean Slinger" for his skinny physique. 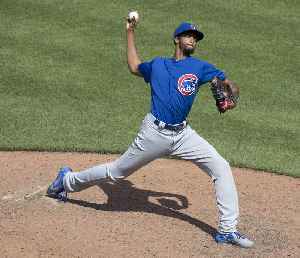 Major League Baseball investigating racist social-media message sent to Chicago Cubs reliever Carl Edwards Jr.